As the Cavs crumble, LeBron isn't going anywhere. Throughout LeBron James’ incredible career, fans of his teams have worried that he would soon leave them. 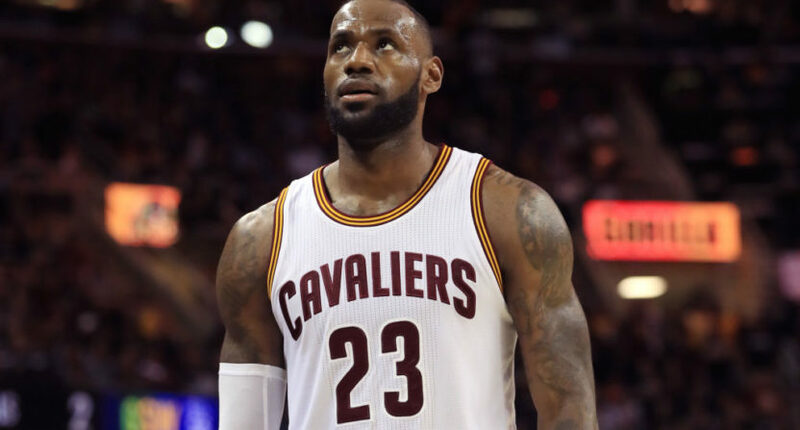 In Cleveland, then in Miami and then in Cleveland again, the fear has always been that The King would pack up and leave when he hits free agency. The prospect of him playing for another team has been horrifying for whoever employs him. No matter the reconstruction of the Cleveland Cavaliers’ roster, no matter the potential for heightened inner turmoil, no matter the win-loss record, and with or without Kyrie Irving, LeBron James will not waive his no-trade clause for any teams at any point during the 2017-18 season, league sources told ESPN. None of this would have made sense about a week ago, but a lot has happened since then. Cavs point guard and LeBron sidekick Kyrie Irving has reportedly asked to be traded, leaving Cleveland with a choice to either move forward with a discontented player or trade away the team’s shot at another NBA title. If Kyrie is truly headed out the door, it could make some sense for the Cavs to trade LeBron and launch an all-out rebuild, using the memory of the franchise’s 2016 title to power through some extremely tough seasons. Great as LeBron is, he probably can’t beat the Warriors if Kyrie isn’t around to help out. Then again, even a Kyrie-less Cavs team at least has a shot at winning the Eastern Conference for a fourth straight year, and it probably makes most sense to milk the LeBron era as long as possible. But this is all just hypothetical, because LeBron is apparently not going anywhere. Though, given his full no-trade clause, he could basically control his destination, it appears he wants to stick it out in Cleveland a little longer and see if the Cavs have another run in them. Hey new Cavs GM Koby Altman… good luck!